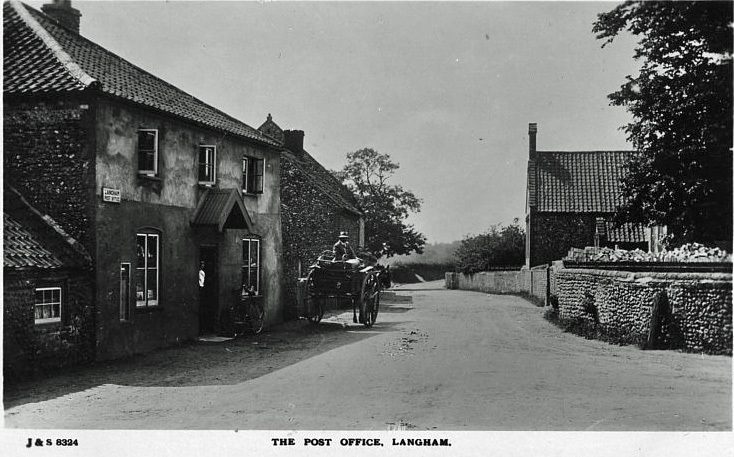 Also known as Post Office Corner, little has changed here. Not sure of the date of the above postcard or this following one which shows the well known cross, beyond the cross is the Vicarage. Behind the PO and to the right over the back is the Church Yard. 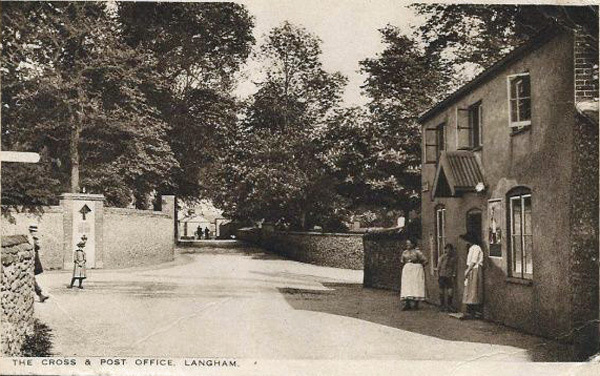 Langham Post Office, from the opposite direction. Kelly’s Directory of 1900 shows us that Elijah William Boast was the Postmaster at that time. He is also listed in the 1916 Kelly’s Directory as ‘Shopkeeper & Sub-Postmaster’. 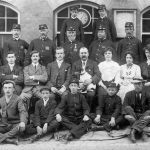 At the time of the 1911 Census, he is listed as ‘Sub Postmaster and Postman’. His wife being Alice. England & Wales, National Probate Calendar (Index of Wills and Administrations), 1858-1966 records his death on 19 October 1935 (‘of Post Office Stores Langham’). Both of these postcard images were clearly taken during his tenure. Maybe he himself, his wife or family are captured in these photos.